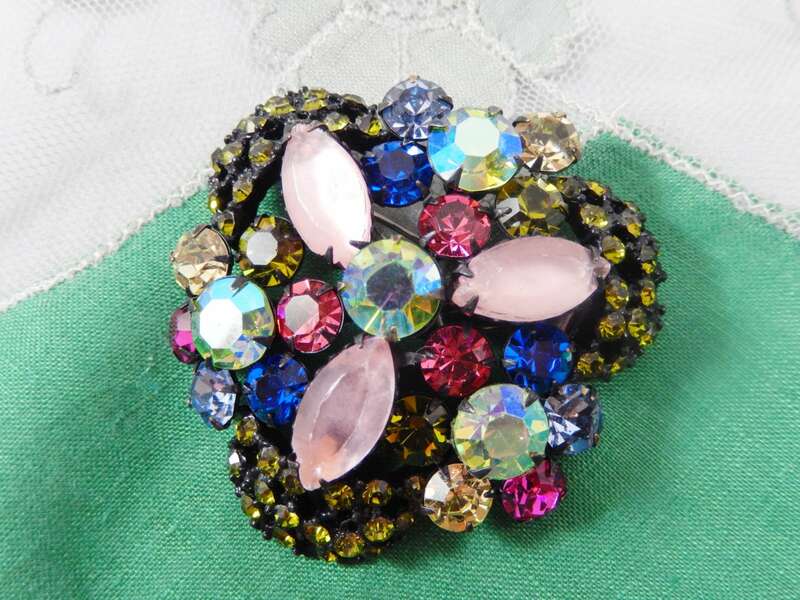 This is a gorgeous Japanned brooch, (when a metal is finished with a lustrous, black lacquer), with aurora borealis glass faceted stones and pink satin glass navettes. 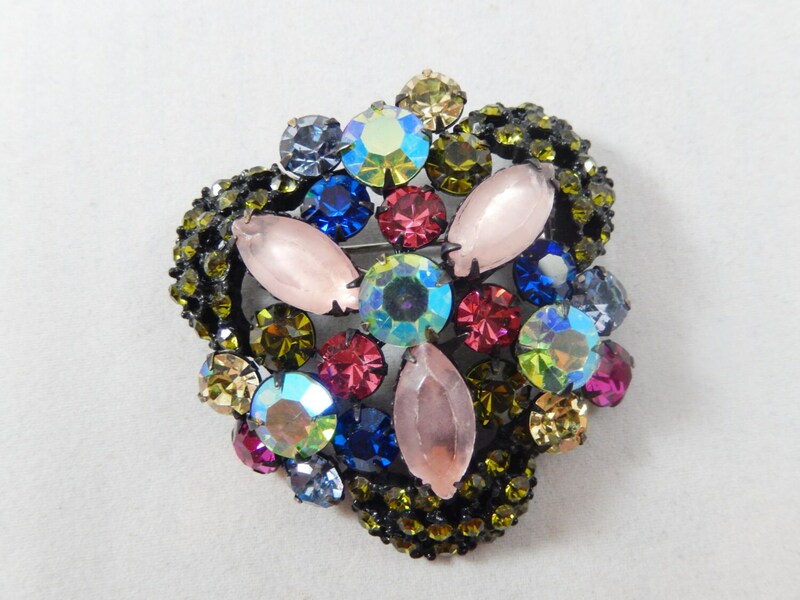 The flower design is a sparkly array of fuchsia, green, yellow, and blue faceted and prong set glass stones. And then there are the three clusters of light green crystals. The back has a riveted clasp and the pin closure is straight and works smoothly. It measures 2" in diameter. 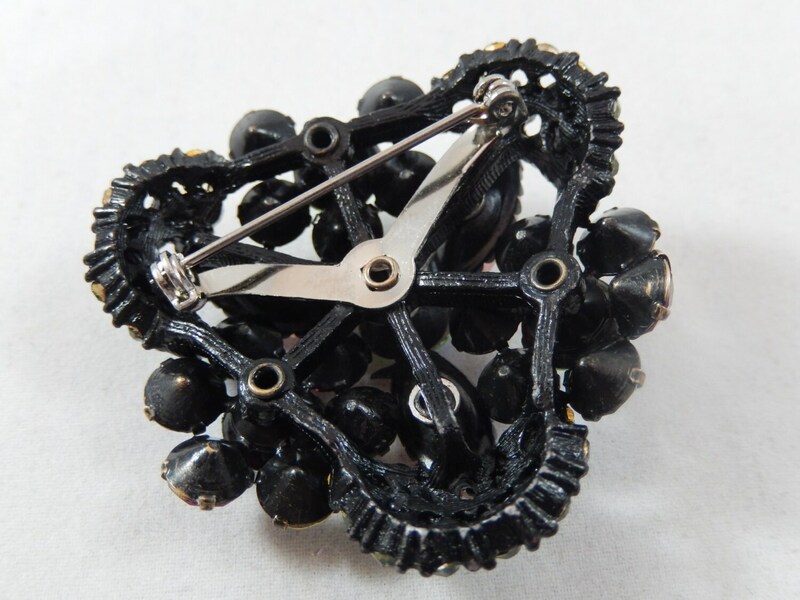 The back shows slight wear but the brooch is otherwise in excellent condition. It is not signed. You will get a lot of oohs and ahhs wearing this on a sweater, a hat, a coat, a purse, or a scarf! !